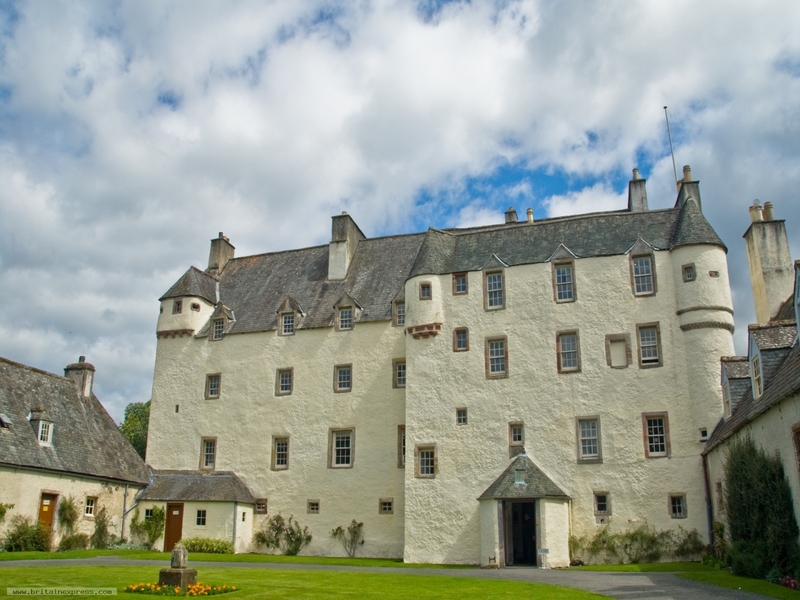 Traquair is a superb Scottish manor in a wooded estate just south of Innerleithen, on the southern bank of the River Tweed. There has been a house at Traquair since at least 1107, when a royal hunting lodge was built here, making Traquair perhaps the oldest continuously occupied house in Scotland.It has been owned by the Stuart family since 1491. Getting this photo involved a lot of waiting - for the sun to come out and for other tourists to clear out from in front of the house entrance!